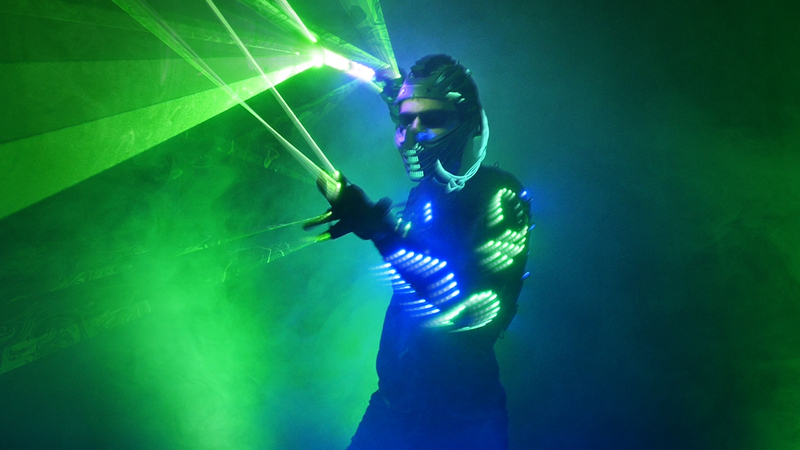 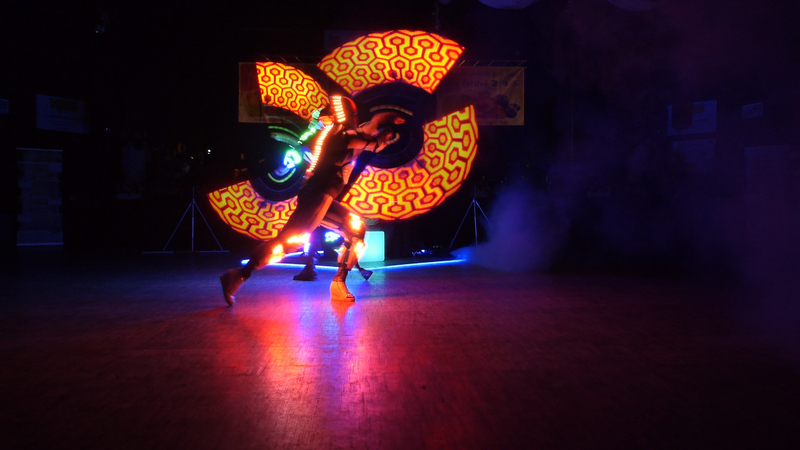 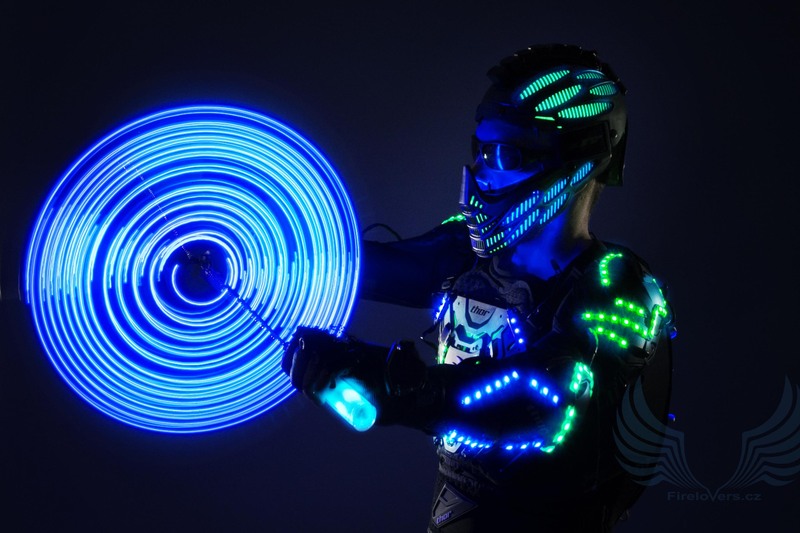 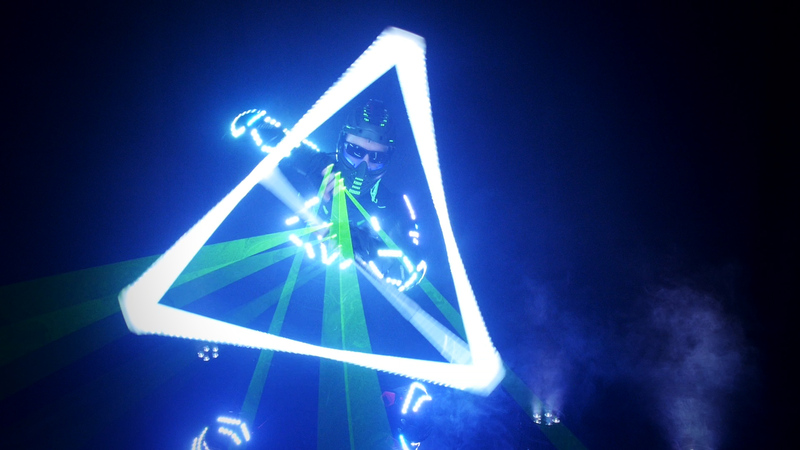 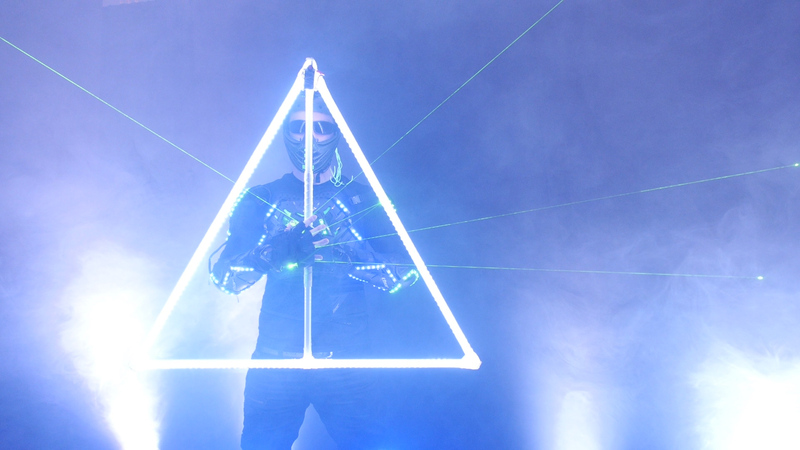 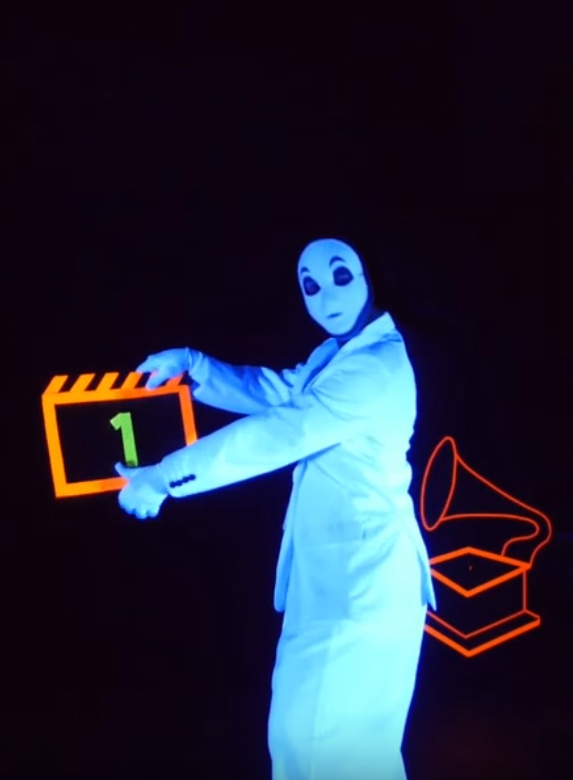 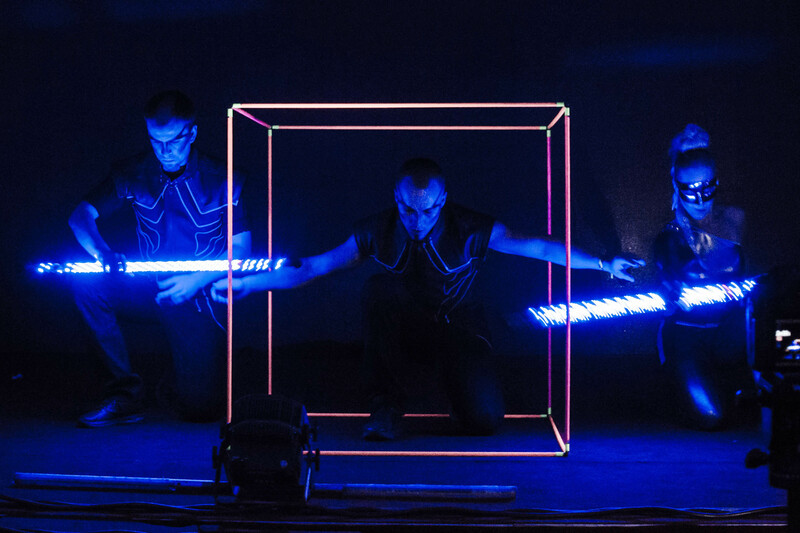 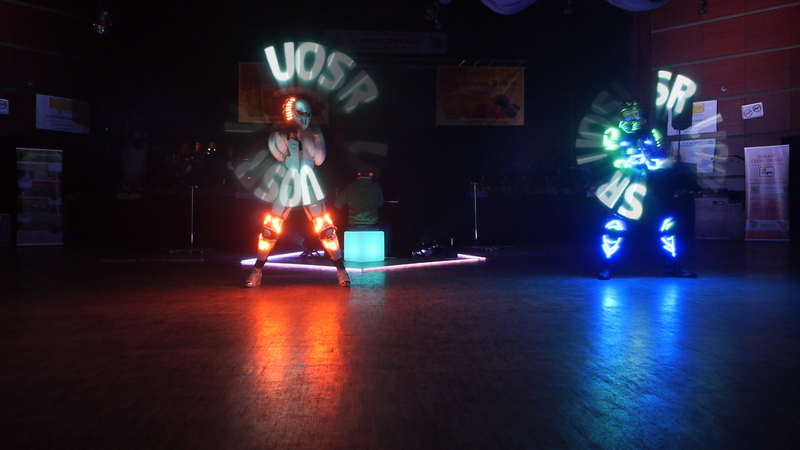 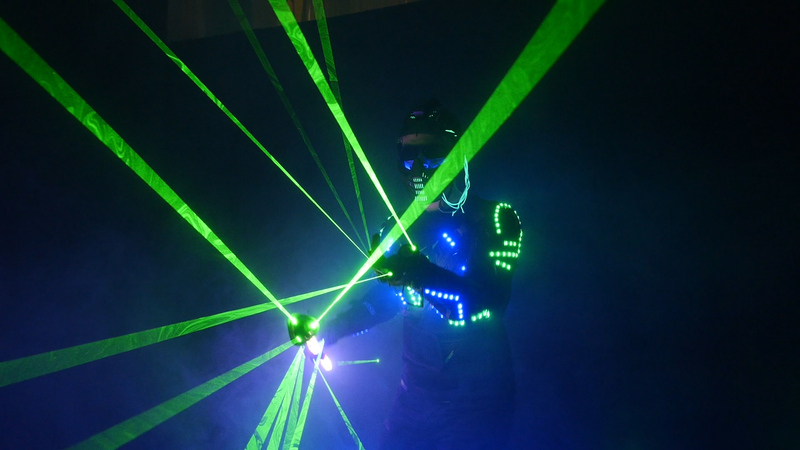 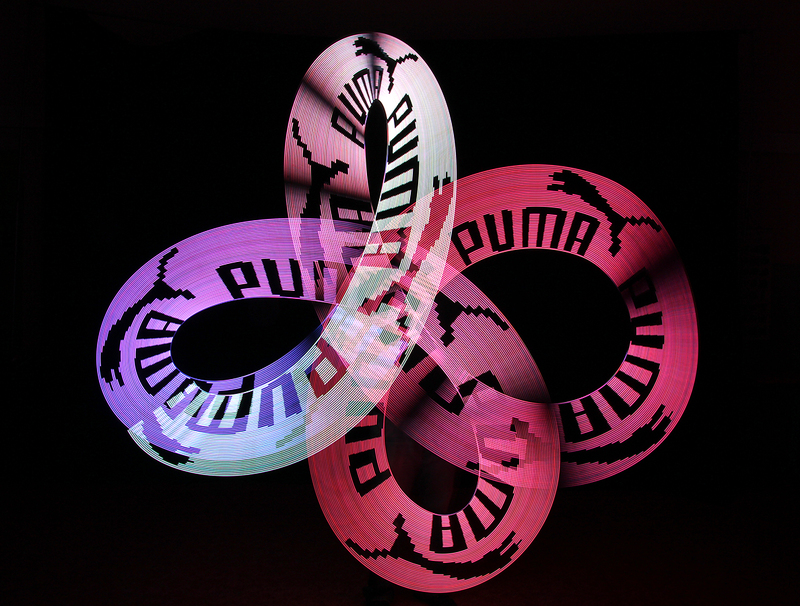 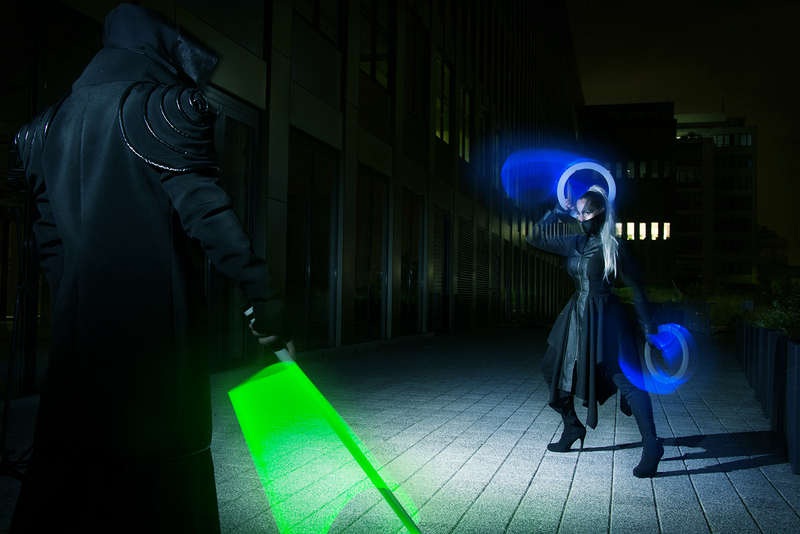 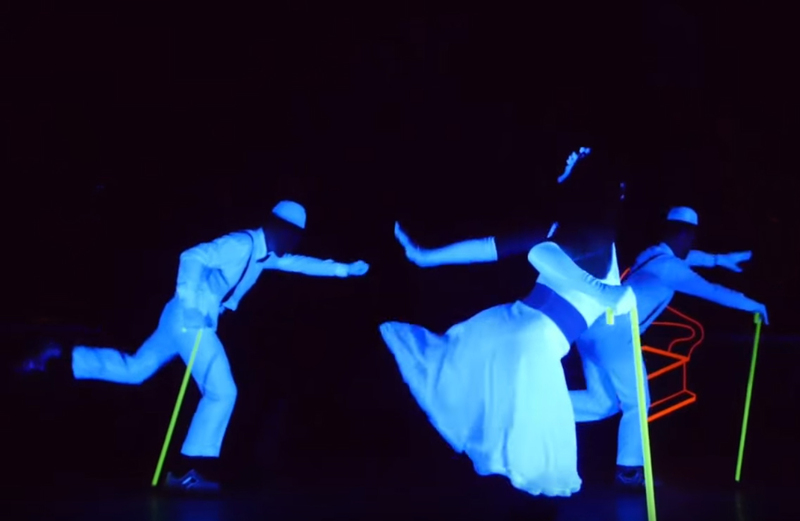 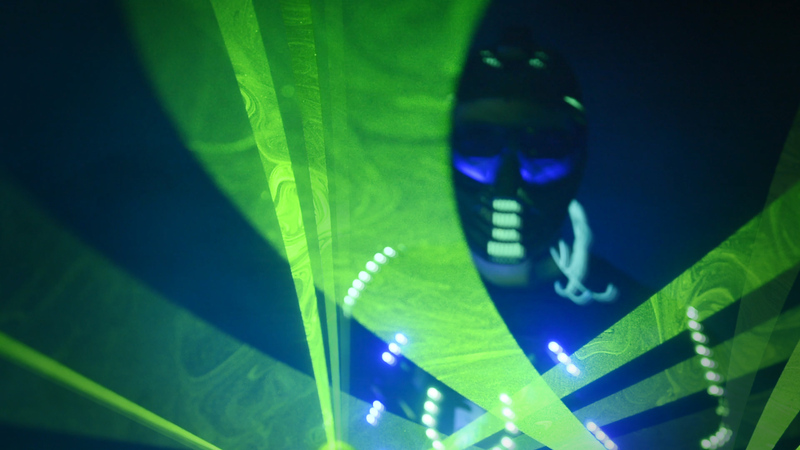 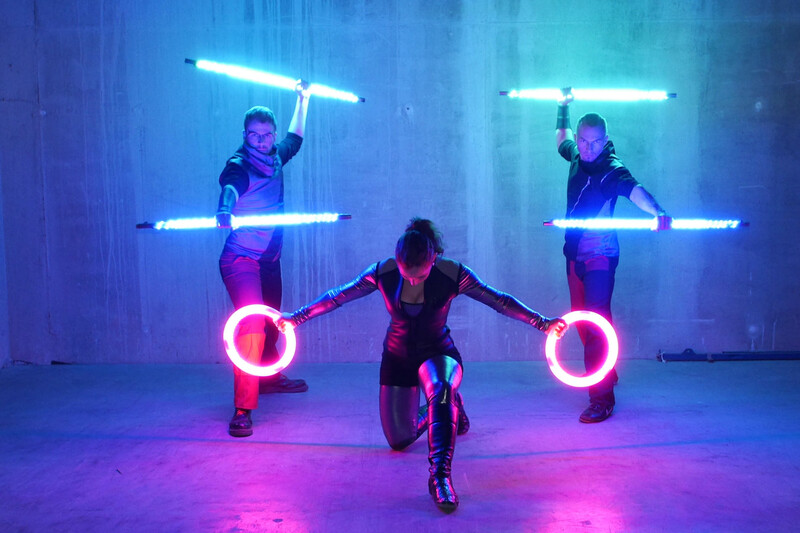 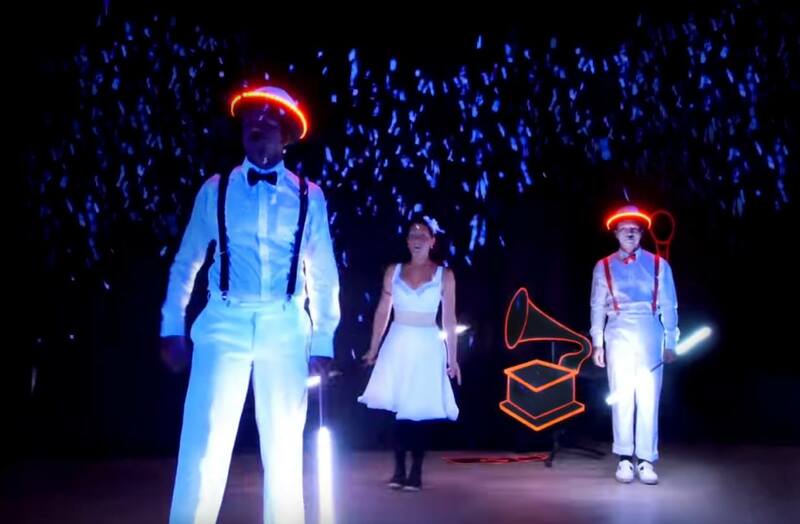 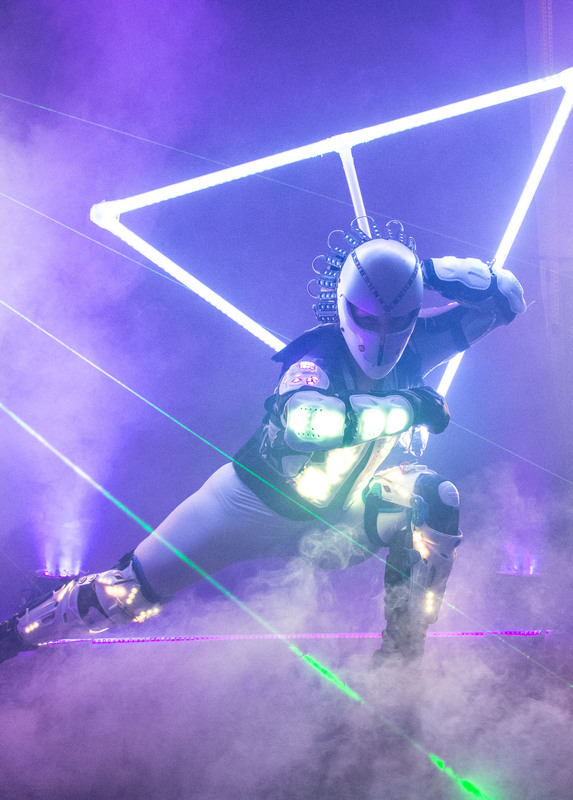 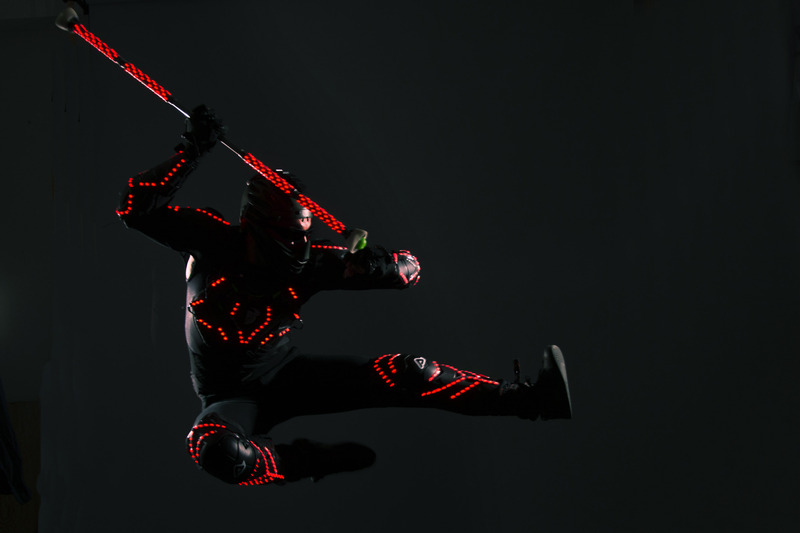 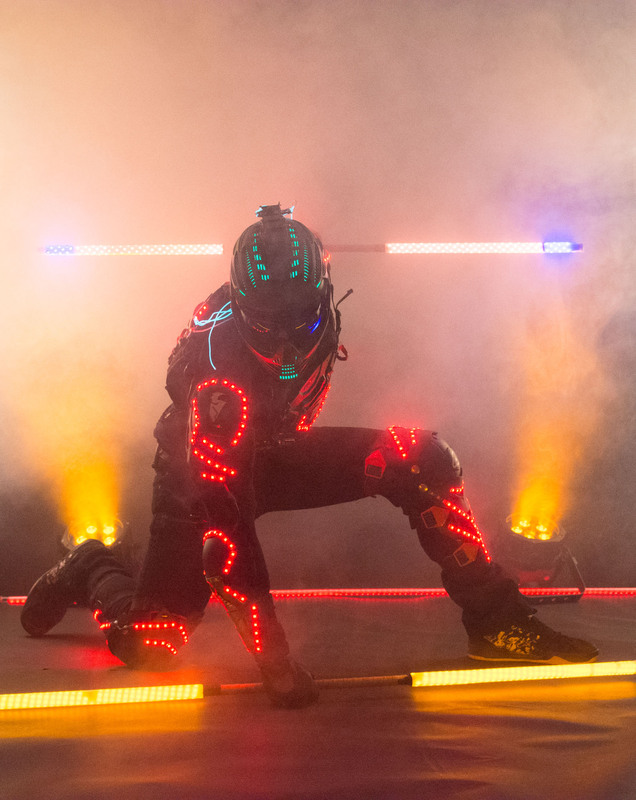 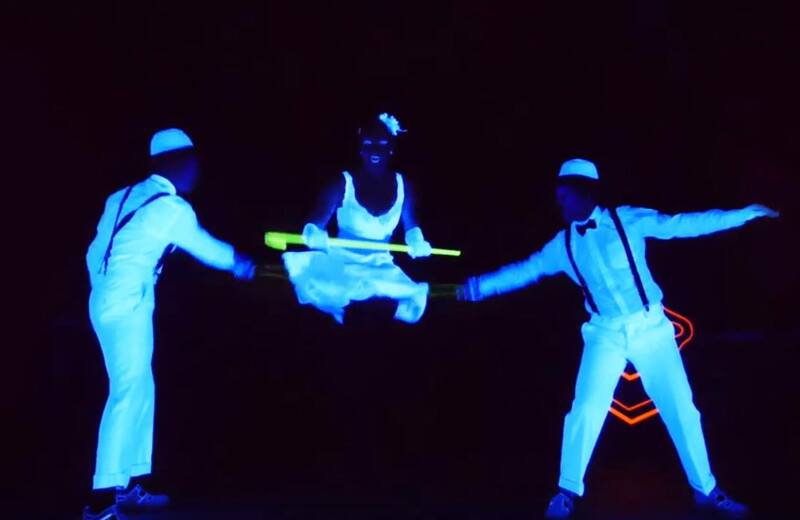 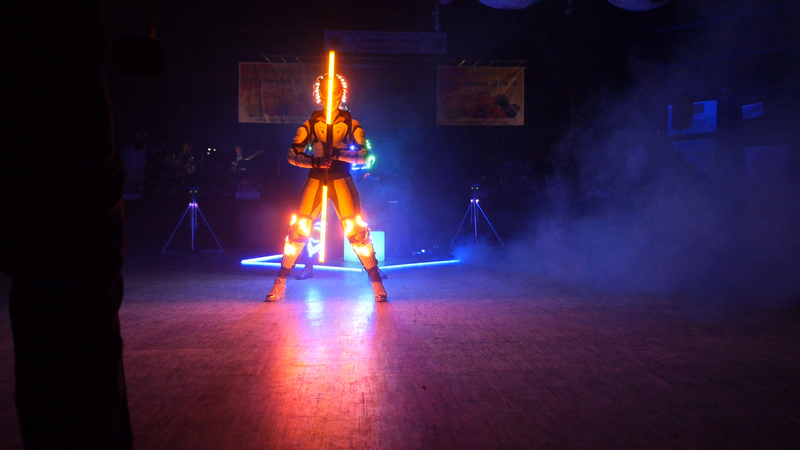 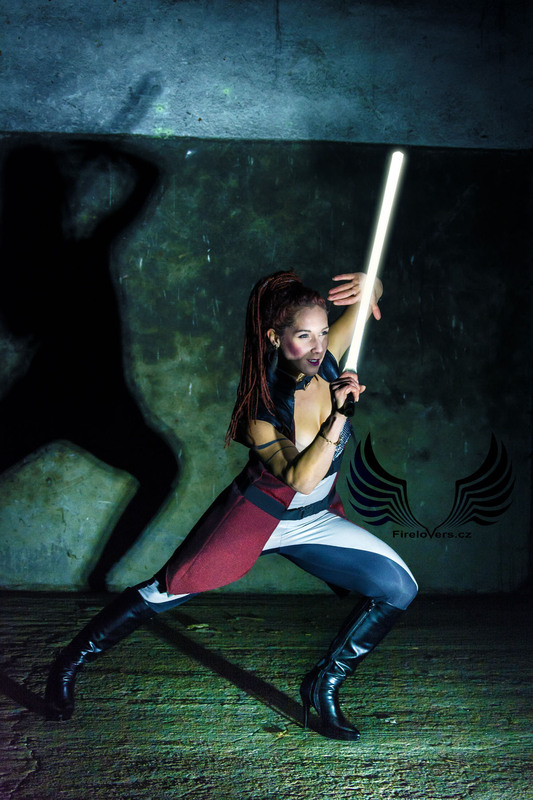 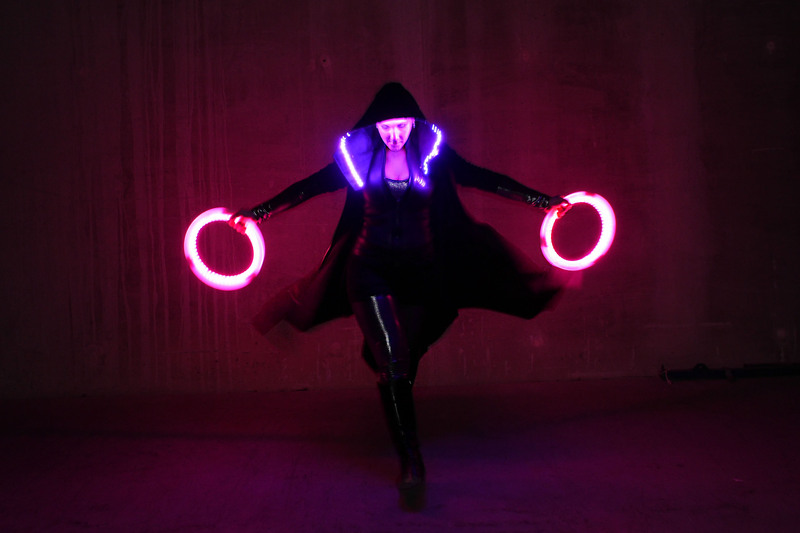 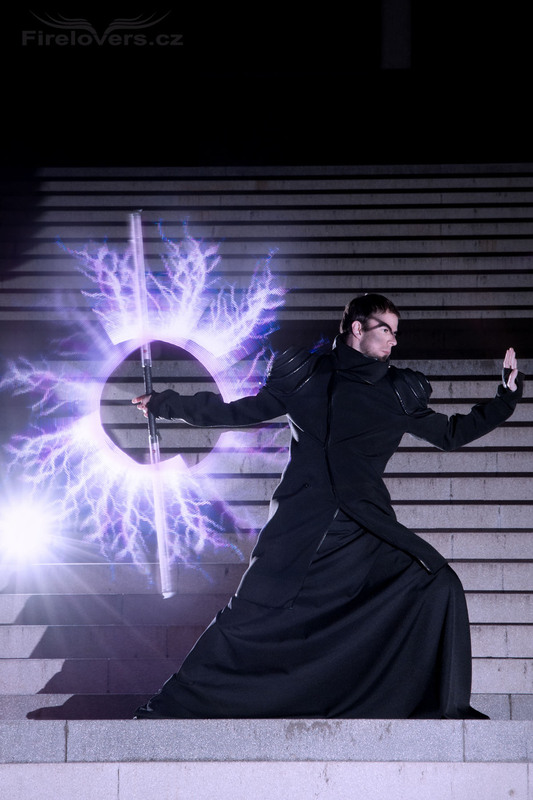 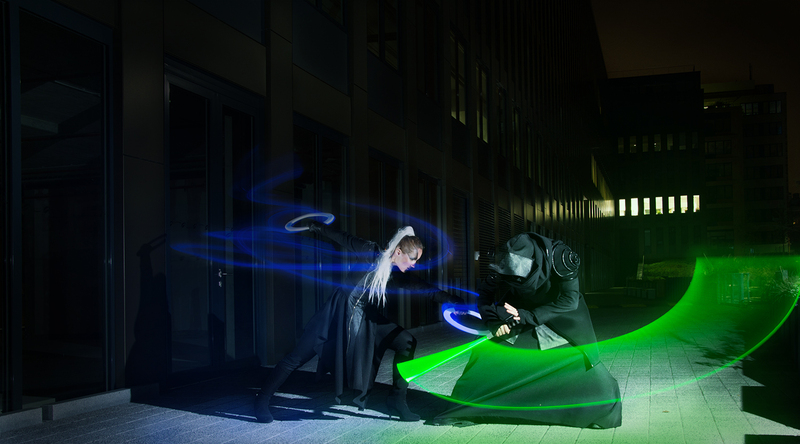 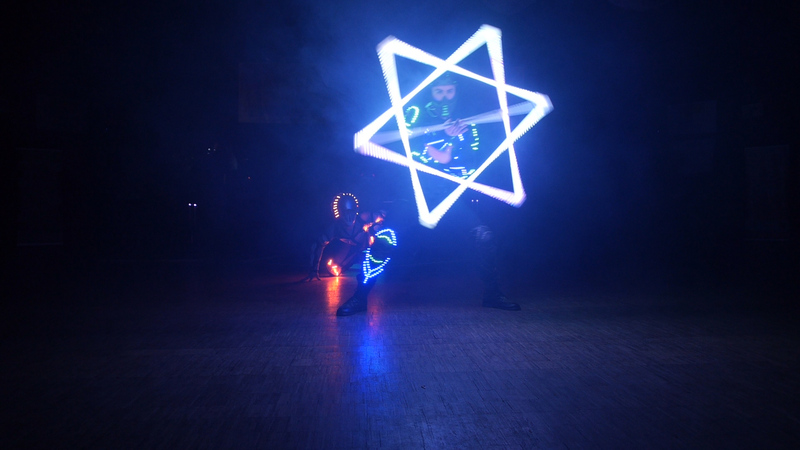 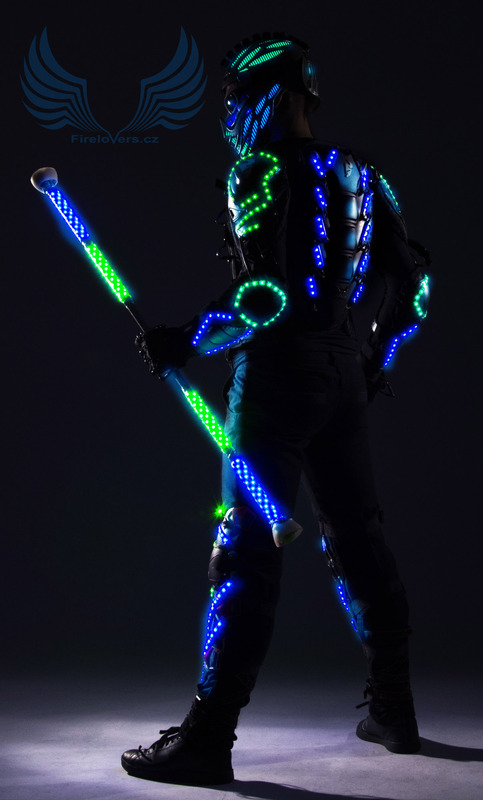 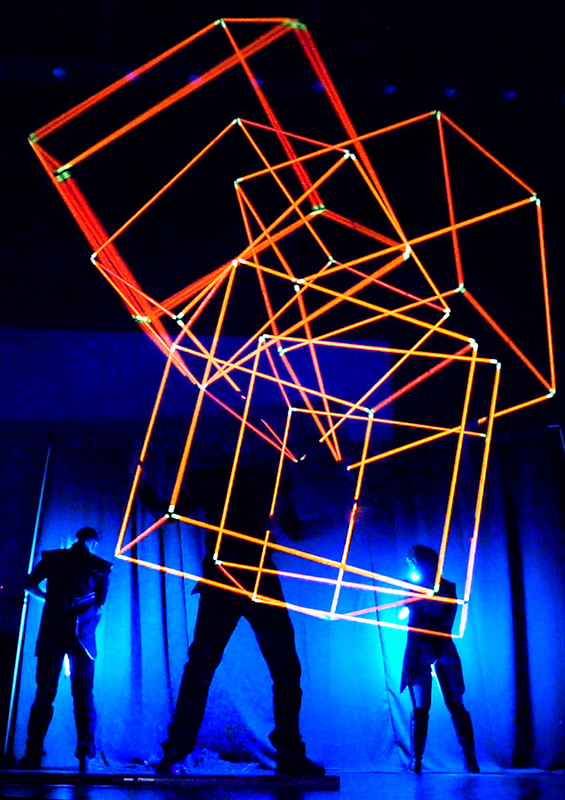 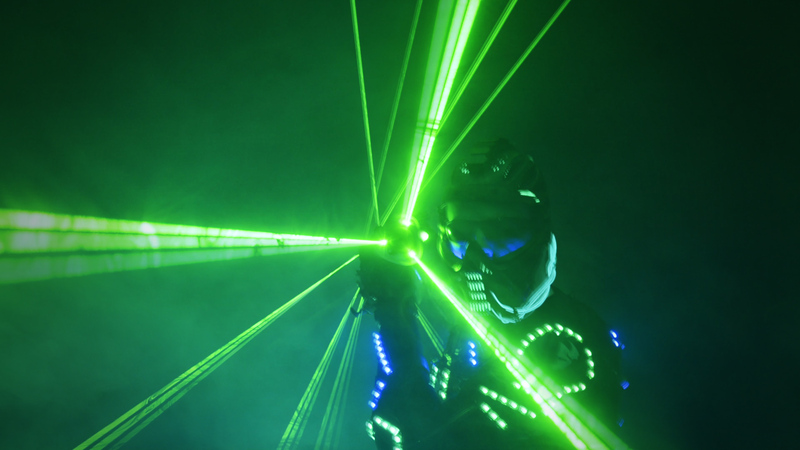 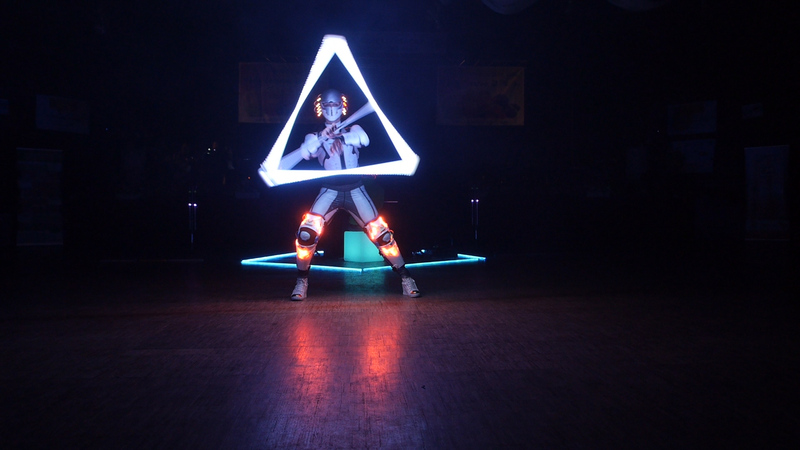 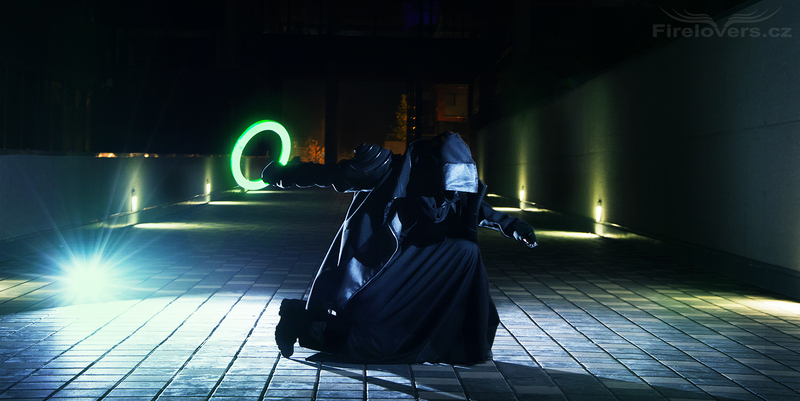 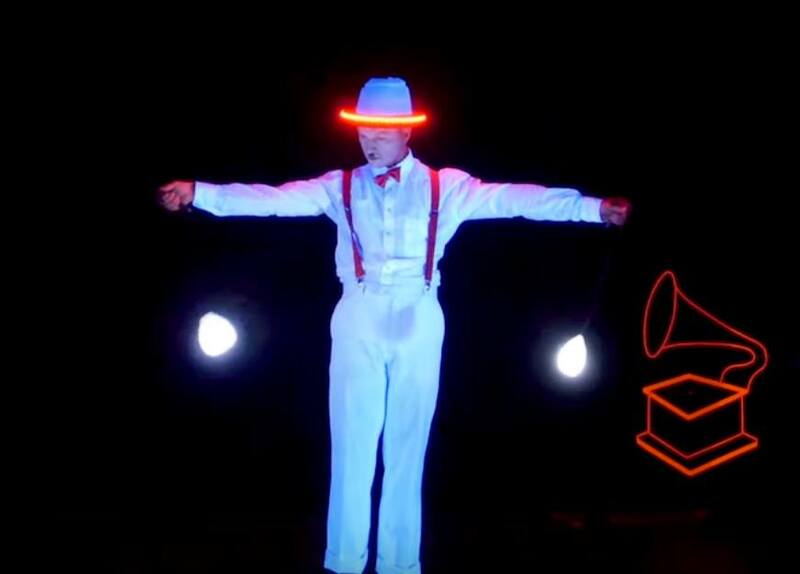 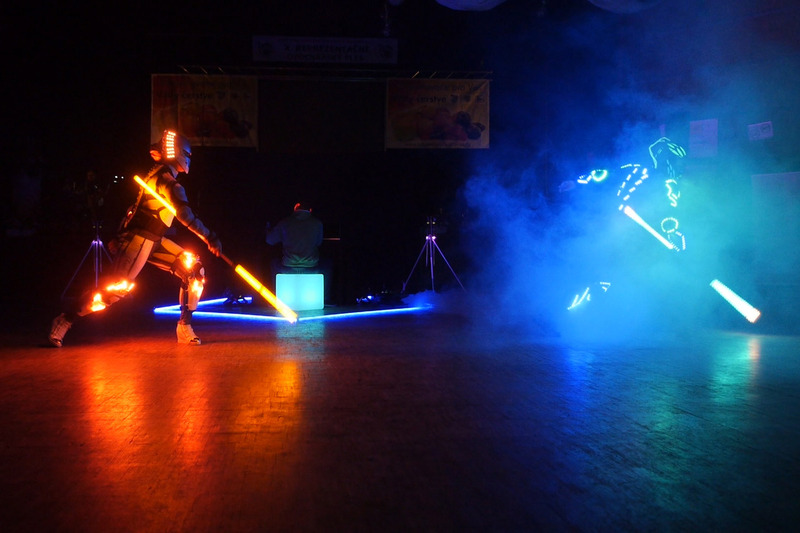 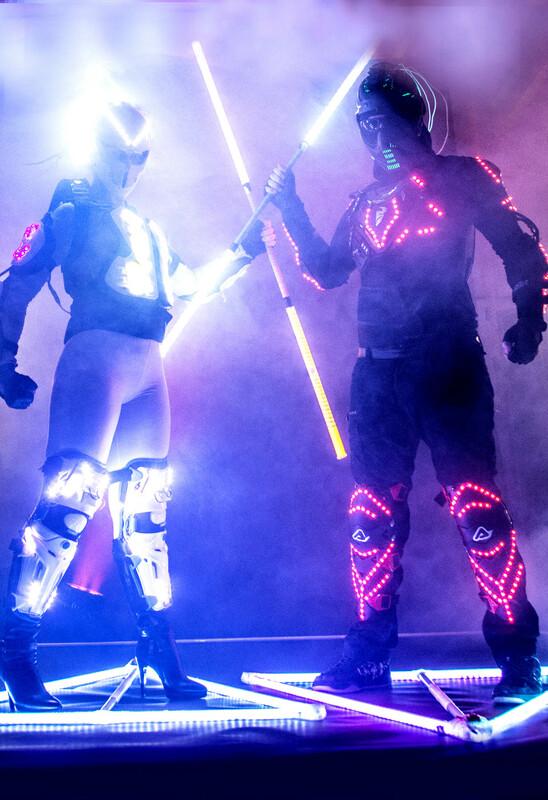 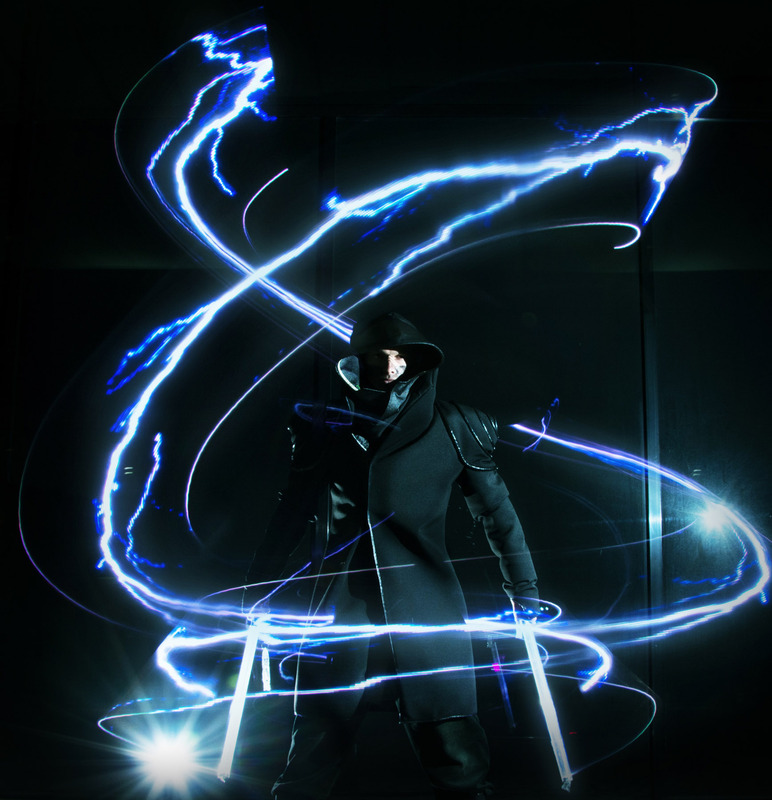 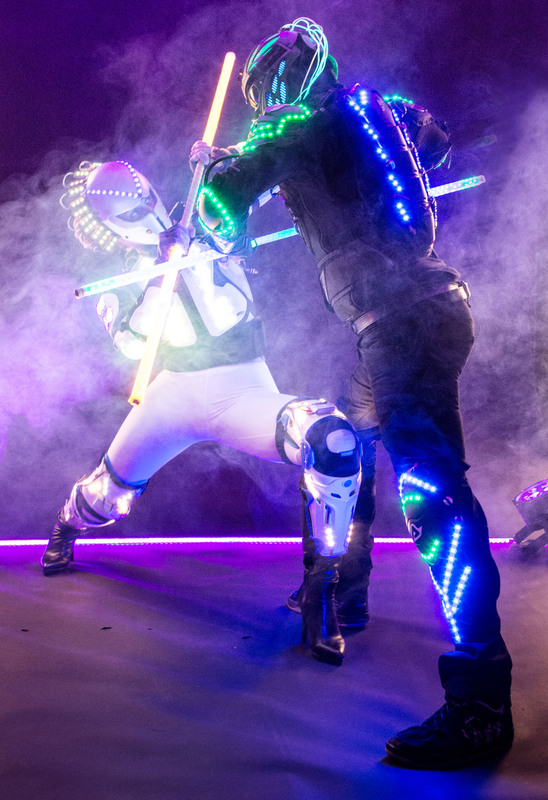 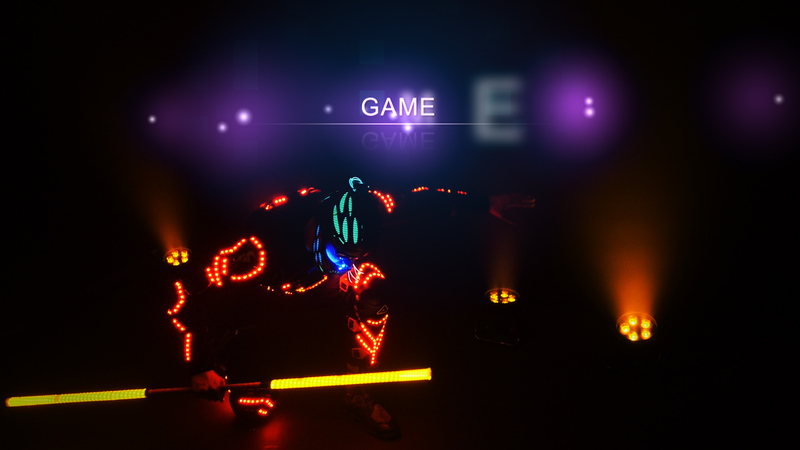 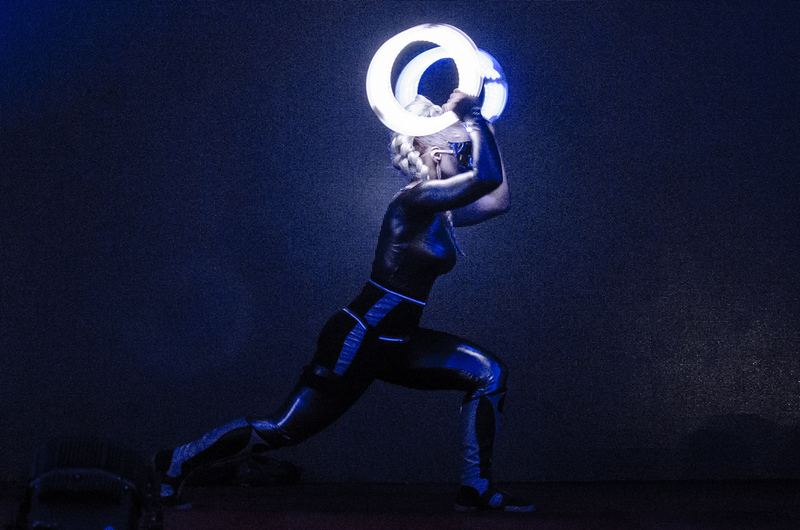 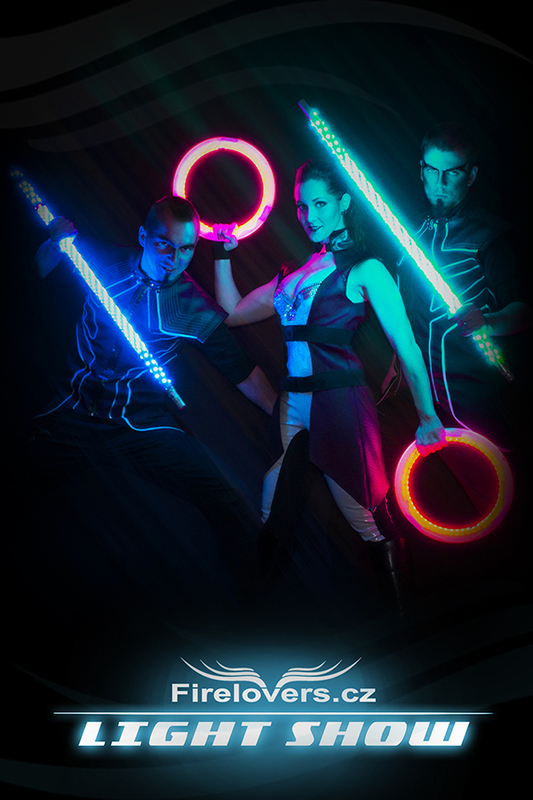 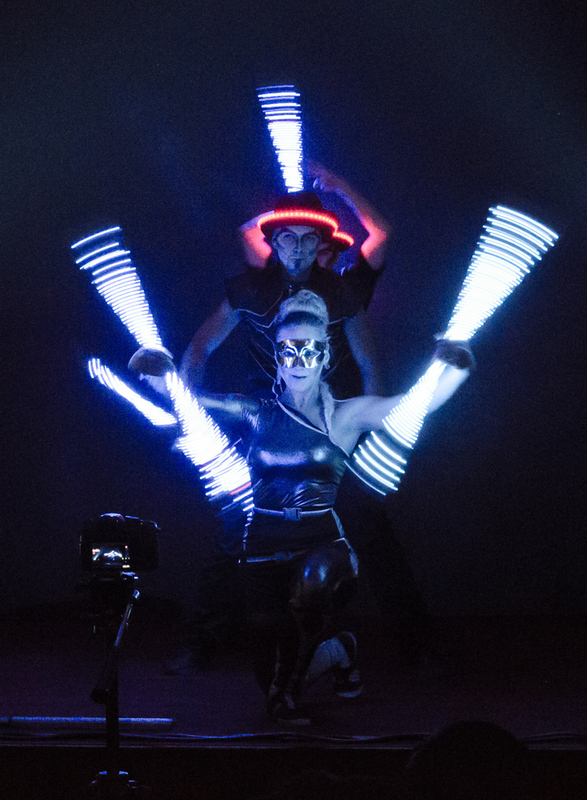 Our light performance combines our unique lighting effects with the help of the most advanced programmable features, elaborate choreography , original costumes and modern music. 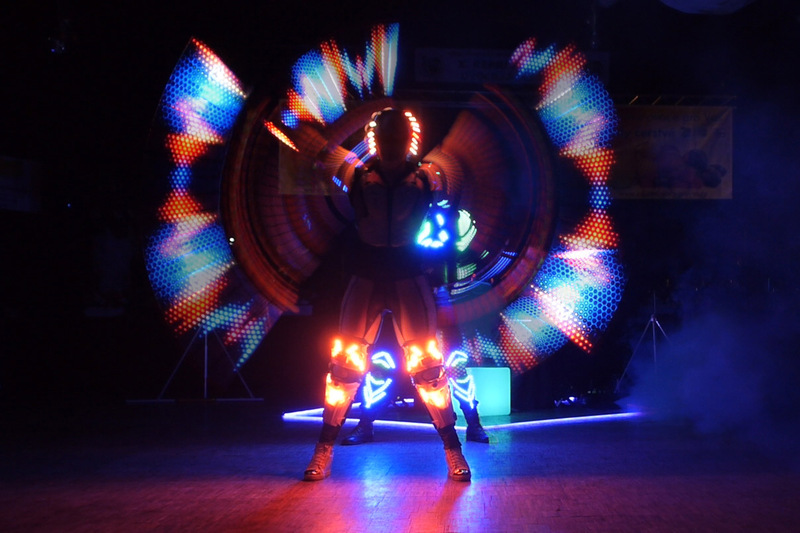 We offer interior or exterior performance in lenght of 7-15 minutes. 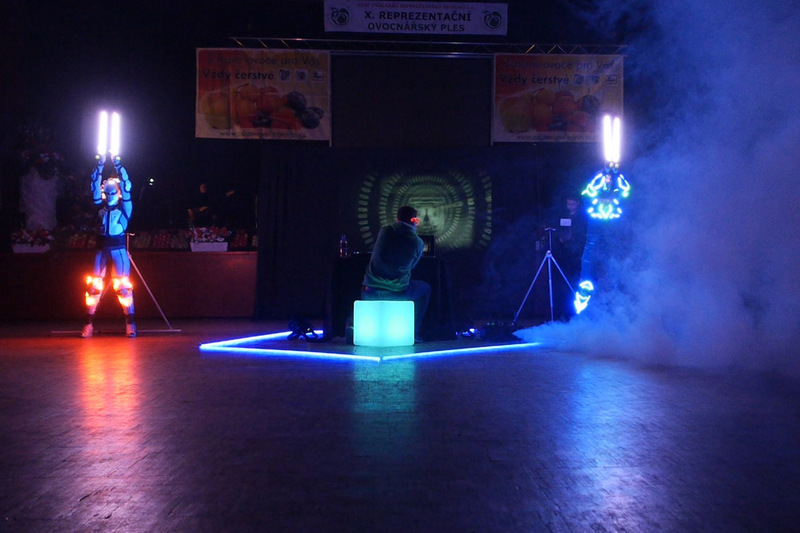 Possibility to tune up the colors of our equipment with your chosen visuals. 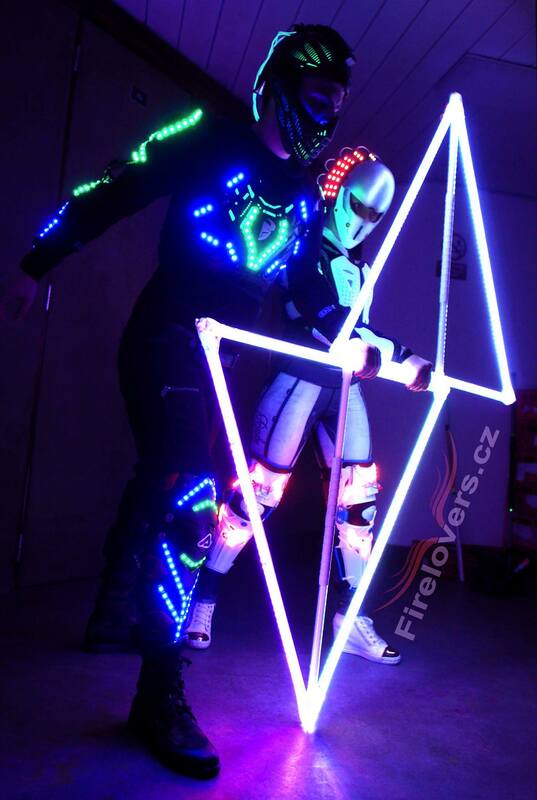 The performance is suitable for balls, smaller corporate or private events. 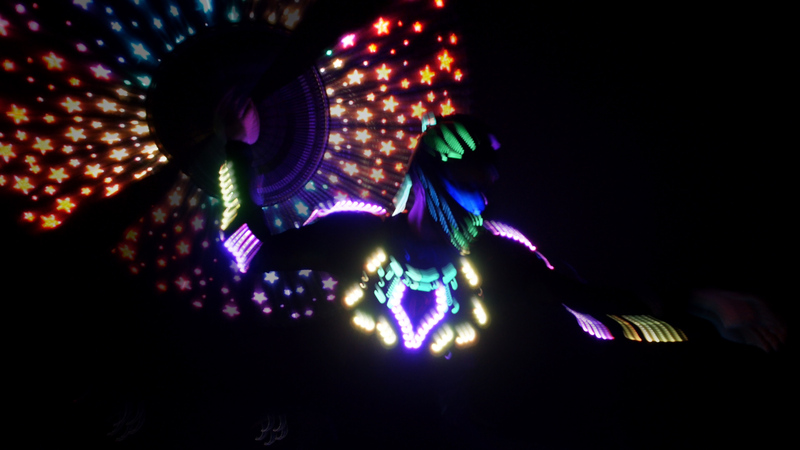 Suitable for festivals, bigger corporal events and so. 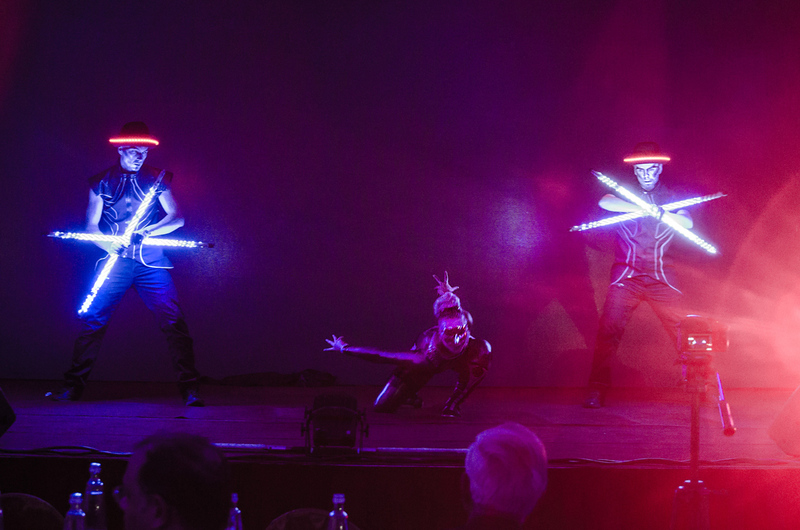 Lightshow is perfect in the interiors, but we very often perform also in outdoor events, thanks to efficient lighting technology.